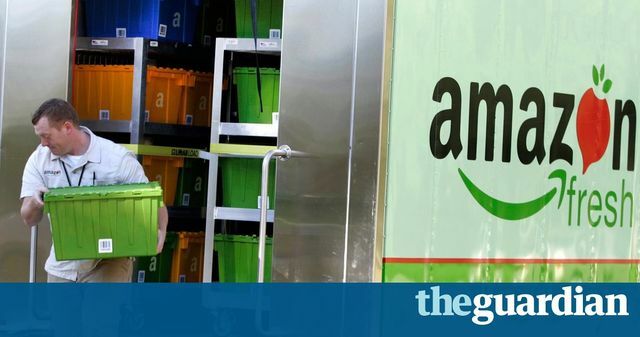 Amazon Fresh, the start of something bigger? So Amazon today launched Amazon Fresh across 69 postcodes in London. Promising to offer low prices and fast delivery, what's not to love? It's such an interesting move and one that's not without thought and the expertise of an ex ASDA expert. I am keen to see how this evolves, and how soon it will be before we see the joining up of Amazon books - wouldn't it be great to buy the cook book you want and have the ingredients for the recipes of your choice delivered too? A real opportunity for Amazon home too, when you purchase a new kitchen appliance why not get some groceries to help you cook with it. Its age old practice to cross sell to up sell but none of the big four have successfully managed to do this with their grocery offering beyond the weekly shop.